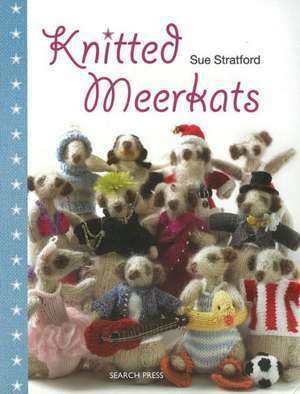 Knitters and textile artists alike will love knitting these cute and characterful meerkats. Sue Stratford owns and operates the Knitting Hut, a retail store in suburban London, and teaches knitting and crochet workshops. She is the author of "Knitted Cats & Kittens" and "Mini Christmas Knits" and the coauthor of "Little Christmas Decorations to Knit & Crochet."